The label says Decanter magazine gave it 97 points- that’s huge and worthy of the $35 entry fee. 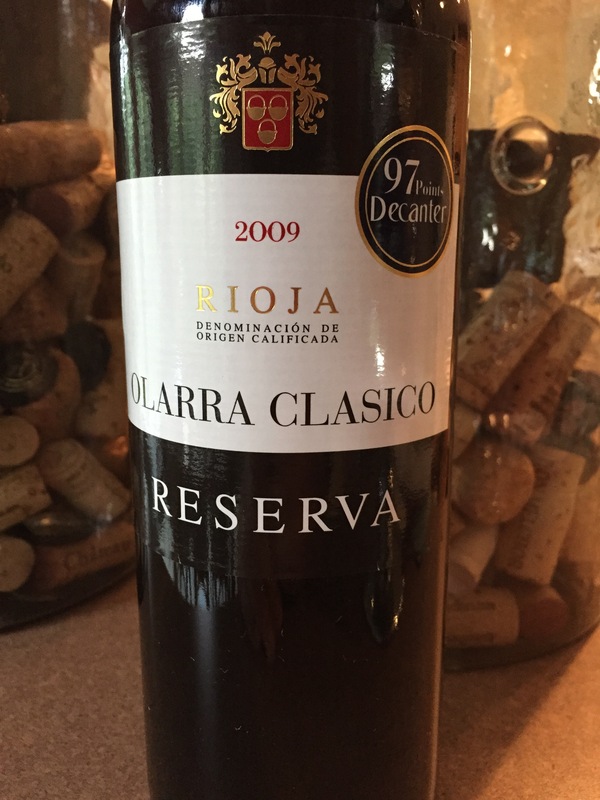 I was actually blown away once I opened this Rioja gem. Thick purple hues in the glass with a solid nose of bramble, blackberry, oak and ginger. Initial attack of super smooth fruits- blackberry, blue berries, orange peel and a dancing acidity that mingles around. Super duper smooth tannins grace the whole mouth and provide an amazing mouthfeel, not sumptuous, nor lean – just present. This is an amazing wine. Mid to back end is where I find some wood, lighter red fruits and as it airs out- more gripping tannins. Not exactly textbook Rioja, it’s a cross with Bordeaux and young Brunello. Simply amazeballs. 95 from me make this a 5 star wine with a long life ahead. 2025-2028. Salut….